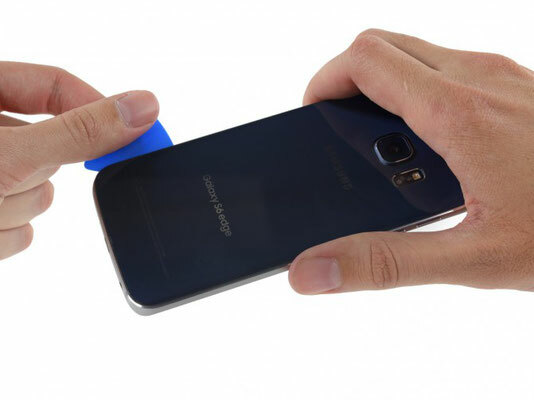 As we know, the main material of the case in the Galaxy S6 Edge is Corning Gorilla Glass 4, which covers the display and the back of the device. 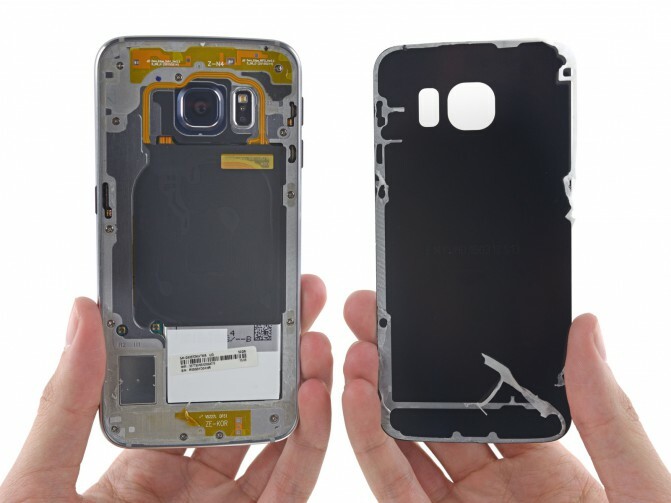 To disassemble the Galaxy S6 Edge, you need to dismantle the back cover, which is tightly glued to the glass panel and snug against the frame. 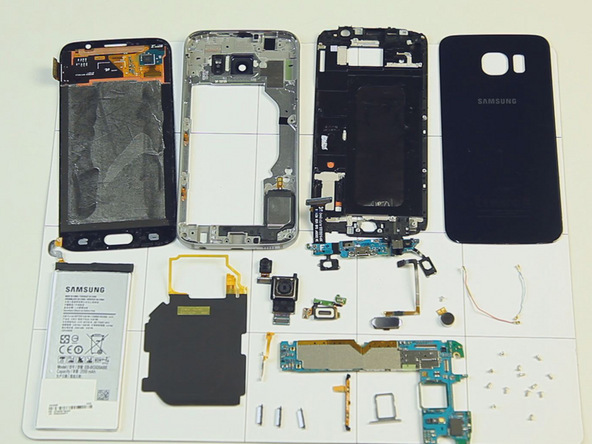 A huge amount of strong glue became a serious obstacle in the process of disassembly. Nevertheless, one of the mediators nevertheless suffered a sad fate. Thus, the times when the back cover was fixed on the usual latches and it was possible to replace the battery without much difficulty, remained in the distant past. By the way, the glass rear panel is not something new, but, as experts say iFixit, for the past since the release of the iPhone 4 in 2011, the glass used for this purpose has become much stronger. 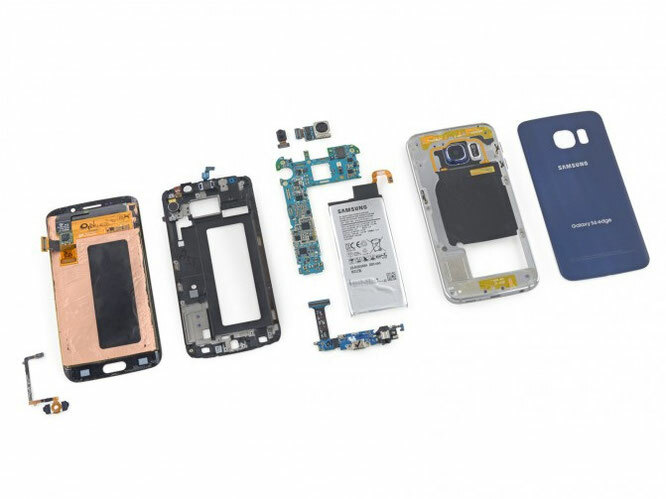 The ability to easily replace the battery for a long time was one of the advantages of smartphones of the Galaxy S line, but this year the company completely turned off the old path. 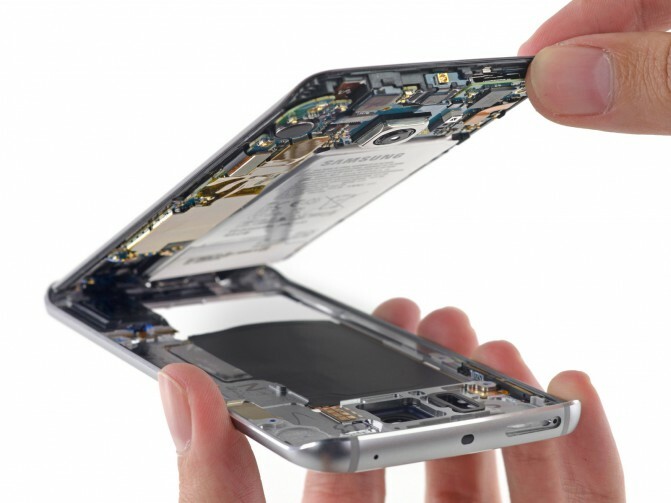 In Galaxy S6 Edge the battery is deeply "buried" under the printed circuit board and inside the frame. 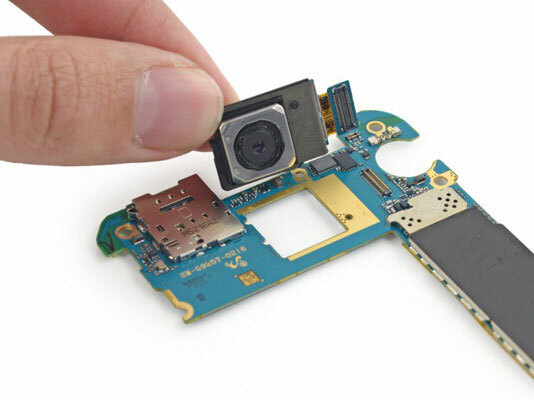 The inner part of the frame is fastened with a lot of screws and is replete with various components - a set of spring contacts, a speaker, an NFC loop and a wireless charging coil. In the process of dismantling the Galaxy S6 Edge, you can also see a hole in the frame under the button "Home". 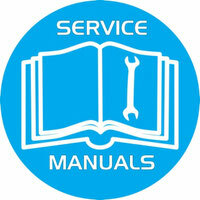 Further disassembly is a fairly simple process. Directly on the PCB, you can see the Samsung Exynos 7420 platform, which is combined with a 3 GB RAM memory chip Samsung K3RG3G30MM-DGCH (3 GB LPDDR4 SDRAM), a 32 GB KLUBG4G1BD flash memory chip, a multi-band radio module Skyworks 78041, a Wolfson audio codec WM1840, sound amplifier Maxim MAX98505 Class DG and auxiliary power supply chip Maxim MAX77843. 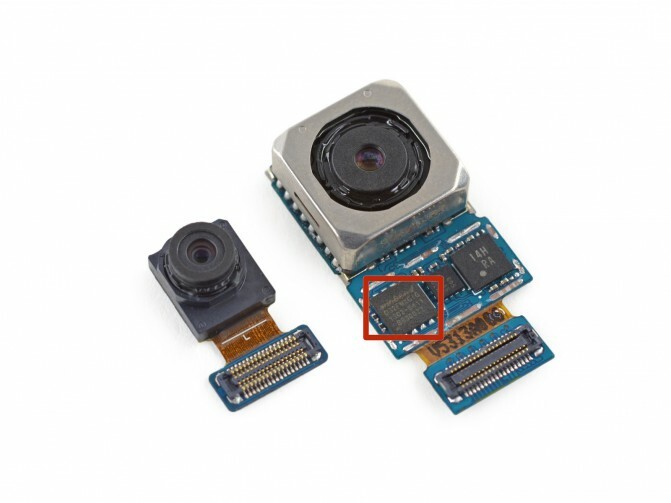 In addition, the board can see the Broadcom BCM4773 satellite navigation receiver, the InvenSense MPU-6500 gyroscope and accelerometer, the Avago AFEM-9020 and Avago ACPM-7007 power amplifiers, the Samsung C2N8B6 image processor, the Samsung Electro-Mechanics 3853B5 Wi-Fi module, the controller NFC Samsung N5DDPS2, transceiver Samsung Shannon 928 RF, as well as various power management chips Samsung Shannon. 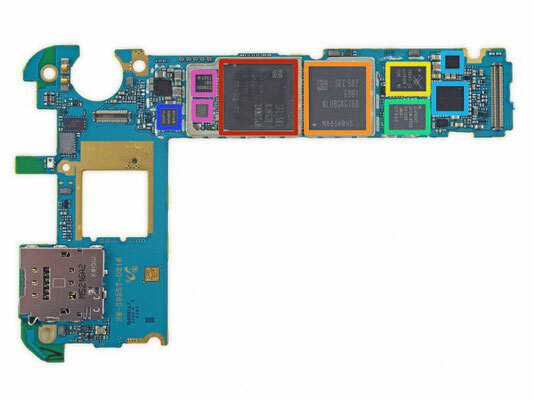 This long list is given with one goal - to show that Samsung minimizes the share of the chips of other manufacturers and increasingly relies on its own solutions. 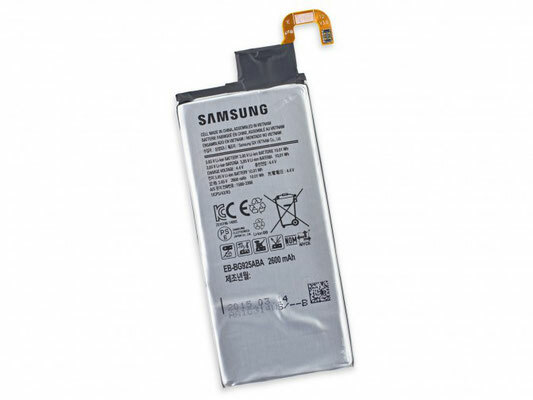 The battery itself (3.85 V, 2600 mAh), as well as most of the components, is produced by Samsung. If you look closely, you can see a warning that pets should never be allowed to this battery. 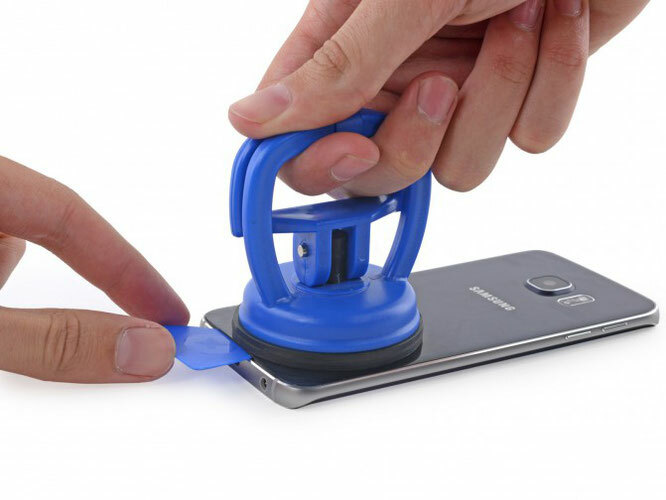 By the way, the Galaxy S5 used a larger battery - 2800 mAh. 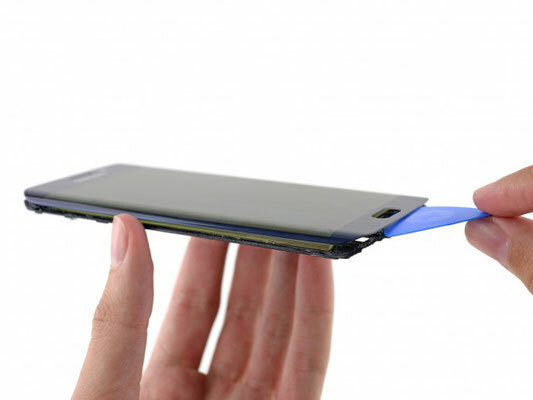 It should also be noted that the battery in the Galaxy S6 Edge is glued to the back of the display, though it cost one strip of glue and did not have to resort to heating. 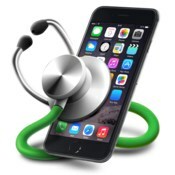 In general, the device earned three points out of ten possible (the maximum score of 10 corresponds to the most easily repairable devices). 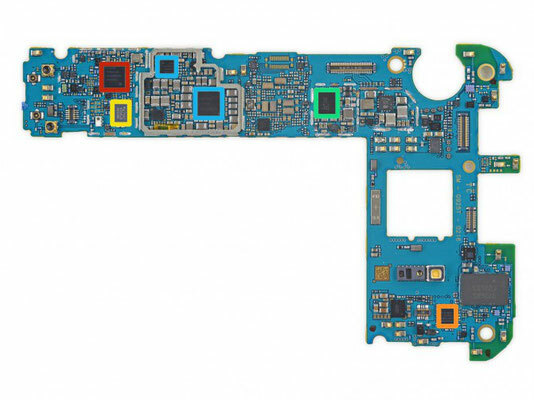 The pluses include a certain modularity of the design, which allows you to easily replace some elements, as well as the possibility of replacing the system board without having to remove the display. 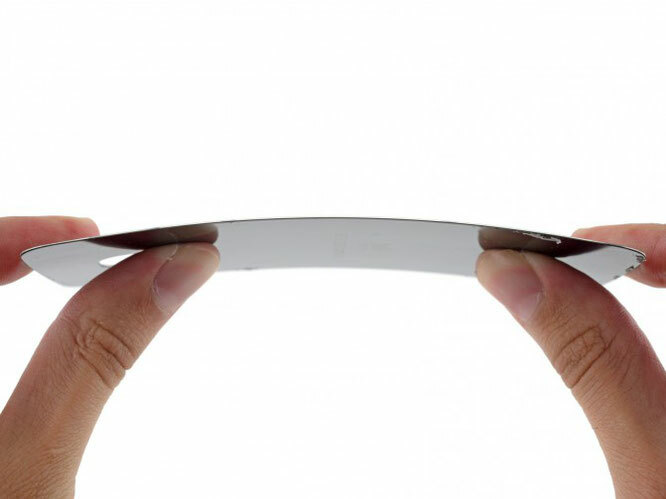 The disadvantages is the battery (and its location) glued to the rear of the display, the use of glass to protect the front and back panels (the risk of breaking the device significantly increases), a large amount of glue in general, and the fact that replacing the glass without breaking the display will be extremely complicated.